Goal: to educate the public about urban sustainability issues. 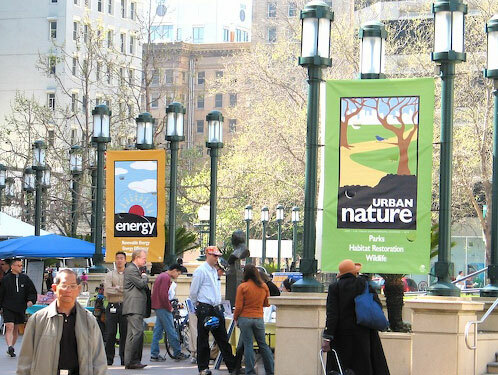 In 2004, Oakland Mayor Jerry Brown signed the Environmental Accords. This international effort promotes urban sustainability by examining ipublic transportation, waste reduction, urban parks, energy production and water conservation. Jung Design illustrated icons to be used as outside billboards and a wide range of promotional materials.